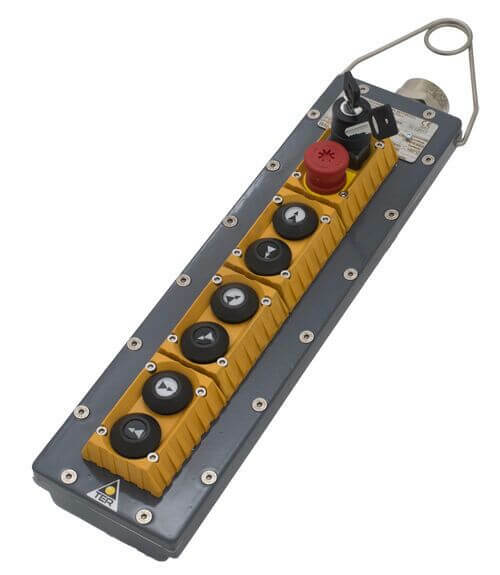 Springer Controls offers a variety of explosion proof products for hazardous environments. From explosion proof push button switches, to pendant control stations, to limit switches and alarm lights, our range of products is always expanding! The Mike-X explosion proof pendant is certified for use in ATEX & IECEx zones 1, 2, 21 & 22, while still maintaining the look and feel of our popular Mike pendant design. 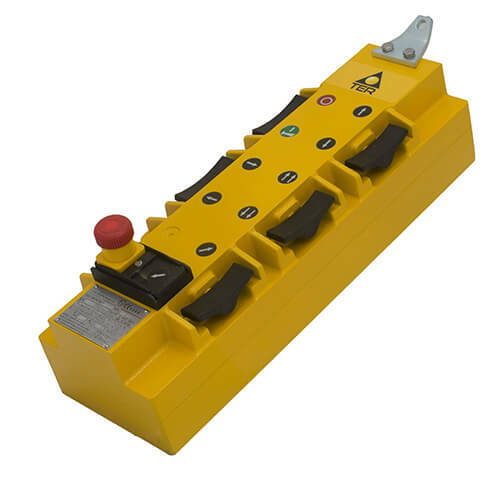 The Mike-X can be fitted with 4-16 operators using 2 speed switches with either NO or NC contacts. The SPA Explosion Proof pendant is certified in ATEX IECEx zones 1, 2, 21 & 22 and offers a 2 column button design to maximize the number of operators in a compact space. Single or 2 speed switches are available with NO or NC contacts. The Limitex AG - expolosion proof limit switch is certified for use in ATEX & IECEx zones 1, 2, 21 and 22. 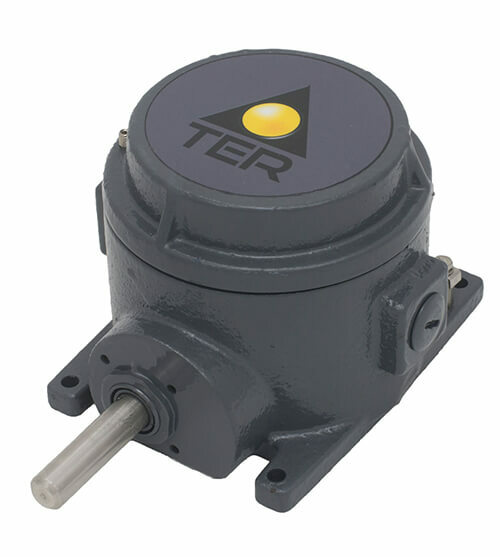 Available in gear ratios from 1:15 to 1:499, with up to 4 switches to control industrial machinery in hazardous / explosive environments. 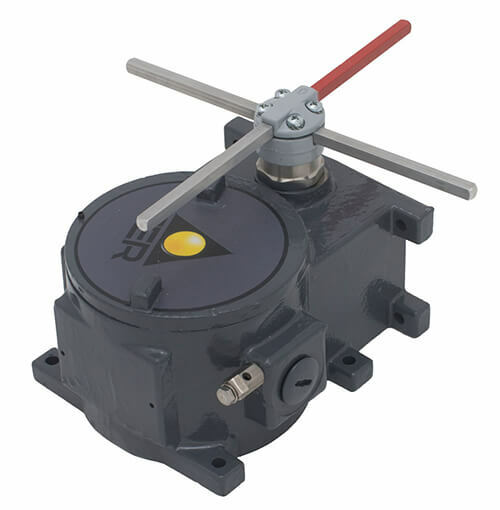 The Limitex AP explosion proof limit switch is designed to control movement of machinery in hazardous or potentially explosive environments. The ATEX and IECEx ratings for Zones 1, 2, 21, and 22 make it suitable for many hazardous environments involving both dusts and gas. The cross rods move between 3 or 4 maintained positions in 90° increments. 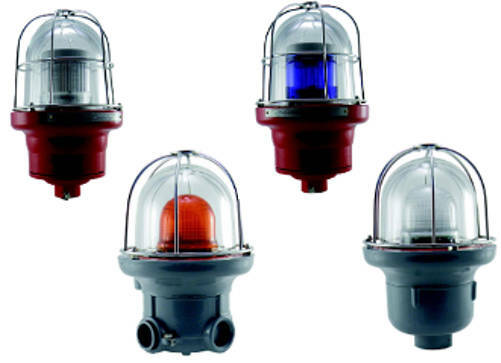 For hazardous environments, Springer Controls offers a range of signal lights to meet your requirements. Single color and multicolor available.